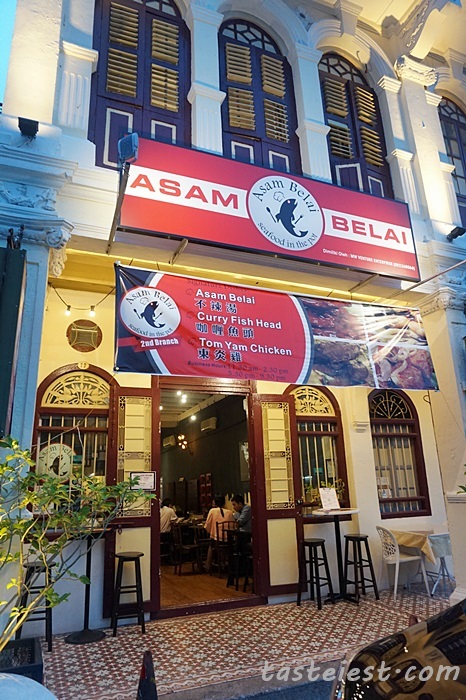 Asam Belai Restaurant located at Nagore Road, one of the famous food street in Penang. Chef has over 30 years of experience in running F&B business and they are one of the famous economy rice stall at Jelutong. 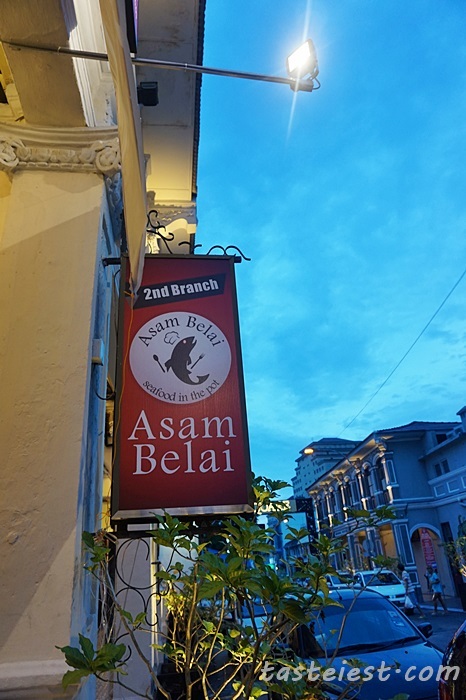 Asam Belai is a very straight forward and easy to remember name where in Kampung or even some of us are saying asam belai aka Asam Pedas in Malay word, it symptom spice and sourish dishes. Simple decoration inside out and wall fill up with their signature dishes. Free water and tea with self service or you can order other drinks that available on menu. 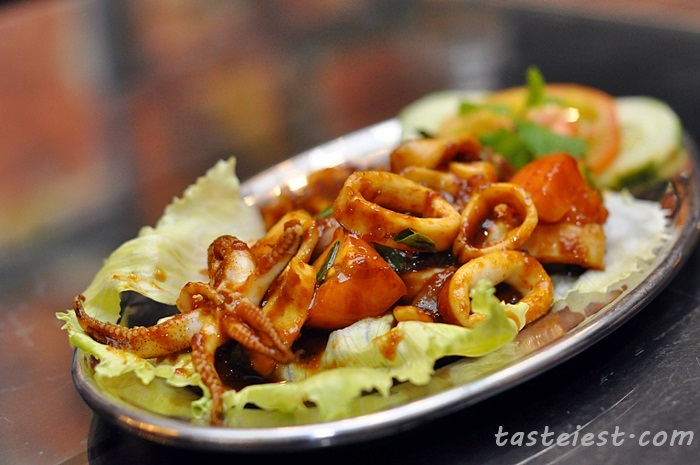 Kam Heong Squid (Small) RM12, nicely cook squid is delicious without chewy texture, kam heong sauce is flavorful with strong dry shrimp flavor in it. Golden Crab Meat (Small) RM8, home made golden crab meat deep fried then top with sweet and sour sauce. 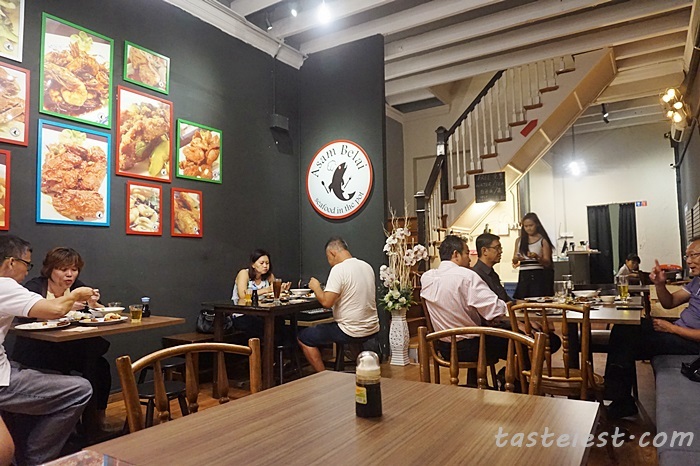 Tom Yam Chicken (Small) RM15, deep fried marinated chicken cook with tom yam paste, instead of soup version of tom yam they thicken the sauce to create a strong flavor tam yam chicken. I like this dish very much especially the lemon grass and lemon flavor that make the tom yam taste even better. 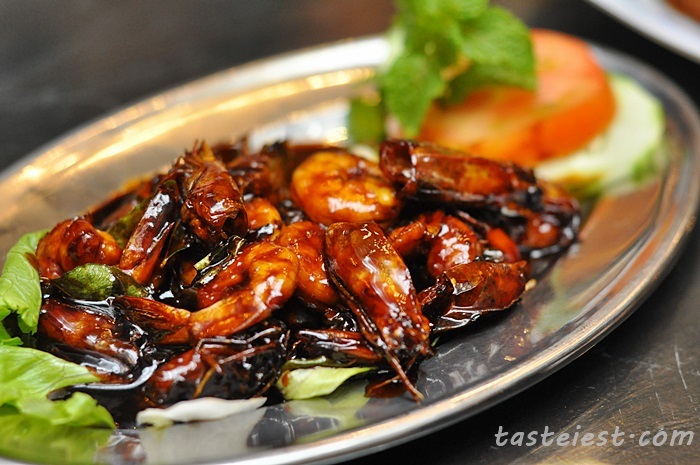 Asam Shrimp (Small) RM12, instead of using big shrimp they use small de-shell shrimp that allow the sauce to fully attach to the prawn, sauce taste sourish and sweet with a hint of black soy sauce taste. It is very delicious. If you prefer to have big prawn then you may call them one day earlier for arrangement. 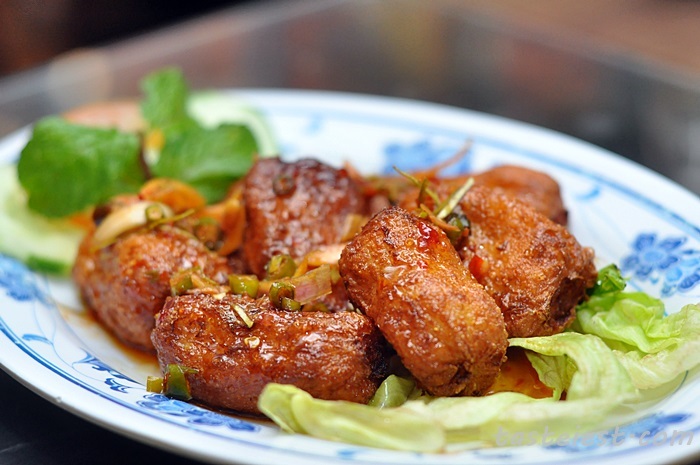 Bai Kuat Wong (Small) RM12, nicely marinated pork ribs are deep fried then cook with sugar and vinegar sauce. 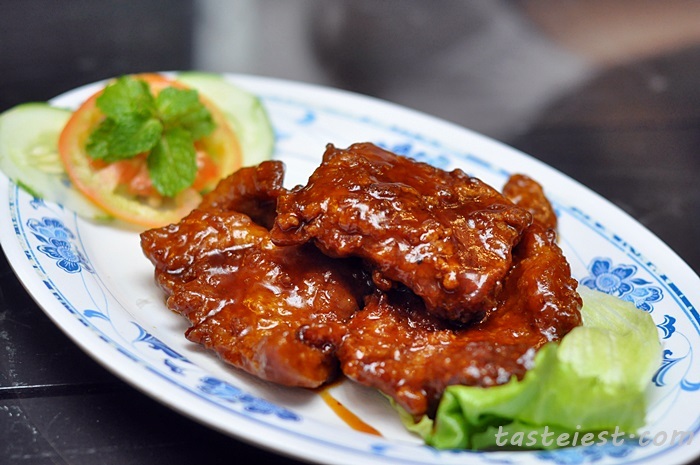 Pork ribs are soft and juicy while retain the great flavor of marinated sauce, it taste sweet with a little bit of sour taste. Asam Belai Fish (Small) RM16, one of the signature dish. 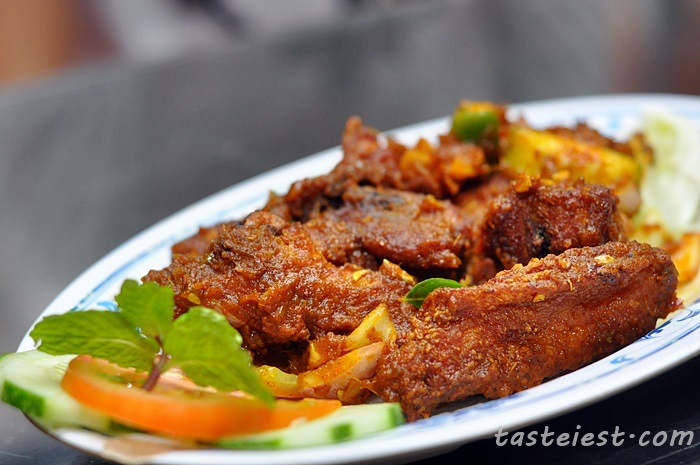 Fish meat served are different daily as they will choose fresh fish from market daily, you may check before order. 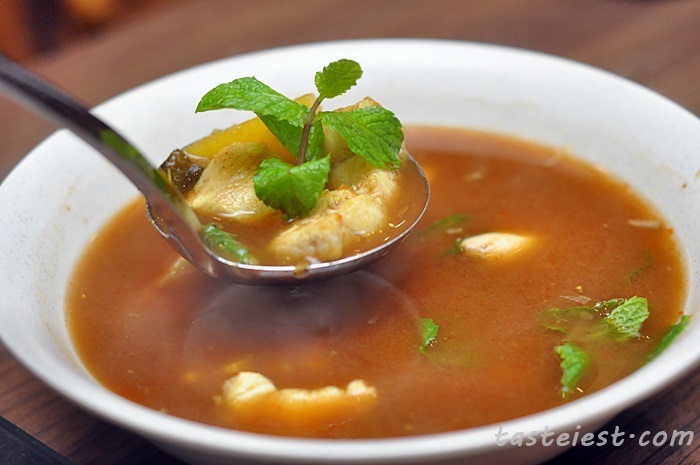 The soup is very appetizing, sour, spicy with a hint of sweetness. Honestly, one bowl is just not enough for 5 persons, we really need more! haha! 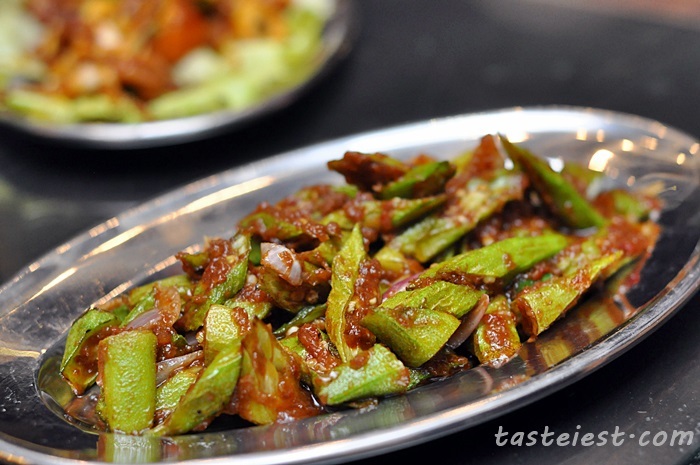 Sambal Belacan Lady Finger (Small) RM8, another signature dish from the experience chef, according to the chef they have a special method to make the lady finger not sticky and more crunchy. Yes, we prove that it is not sticky and very crunchy, sambal is great in flavor as well. 77, Nagore Road, 10050 Penang.